The Roadmap Sales Order module gives you the tenacity to completely eradicate process-violations in your Sales Order management, and enables you to consistently perform in an error-free mode and achieve efficiency in your cost and time managements, especially in delivering absolute customer satisfaction. Integrated to the Inventory management, Accounts Receivable, and Purchase Order modules, the Sales Order module automates your Supply Chain Management workflow in addition to equipping you with sales forecast and analysis, and performing Dispatch functions. 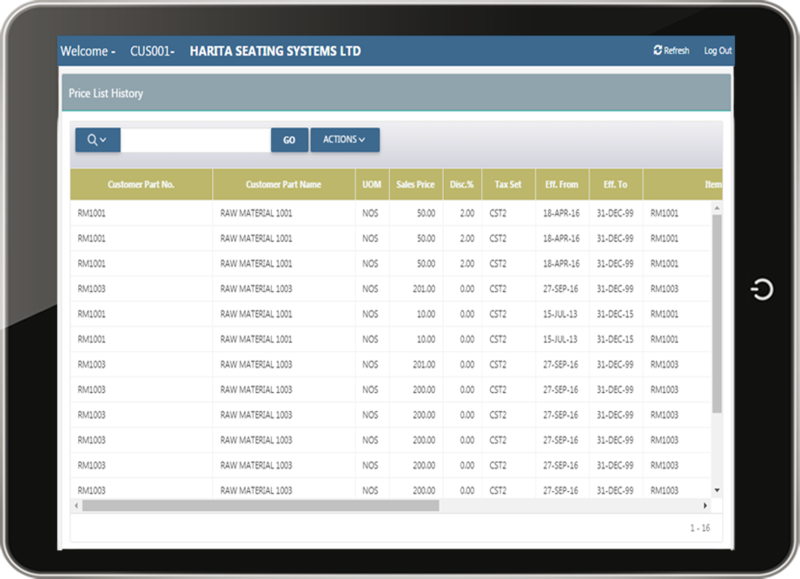 In further the provision of Customer Portal links the customer to the Production process by furnishing selective access to the workflow. This integrates the customer into the business process at approved levels and helps you enhance customer satisfaction. The flexibility and visibility offered by the Roadmap Sales Order module, gives you the advantage of having customer specific visibility to the Inventory, workflow, and AR modules. Through the extended visibility to your Inventory, workflow, and AR modules, prescribe customer specific appropriation and processing rules; and accomplish Production and Sale as per customer expectations, to boost customer satisfaction. In general satisfied customers are interested in placing more POs with companies that offer them such joy. 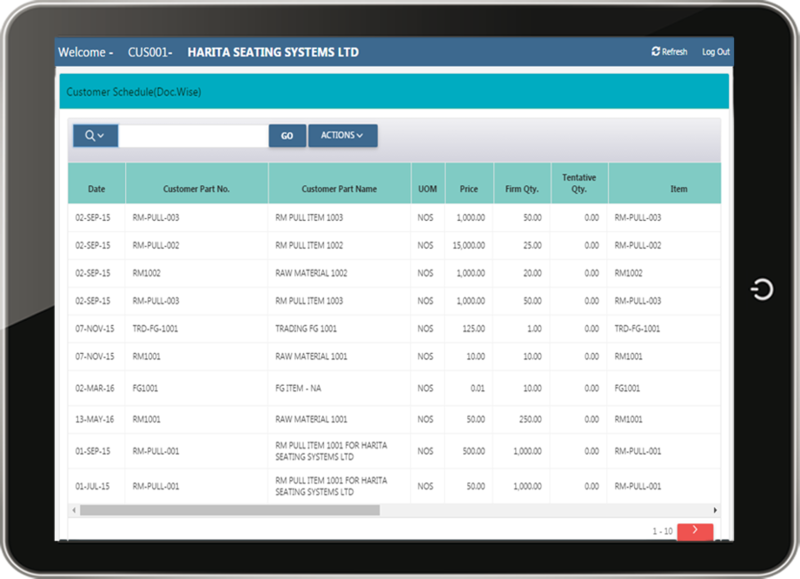 Capitalize on such goodwill by streamlining your business transactions with the automated processing of our Sales Order module and generate Purchase Orders from Sales Orders. Maximize the efficiency of your Sales performance, thus, improving the cash inflow, and most importantly deliver great customer service. Have the potential to process multiple shipments and track them all with absolute precision. Ensure on time delivery of all shipments and prompt collection of payments with the help of the payment status projected by the Roadmap Sales Order module. 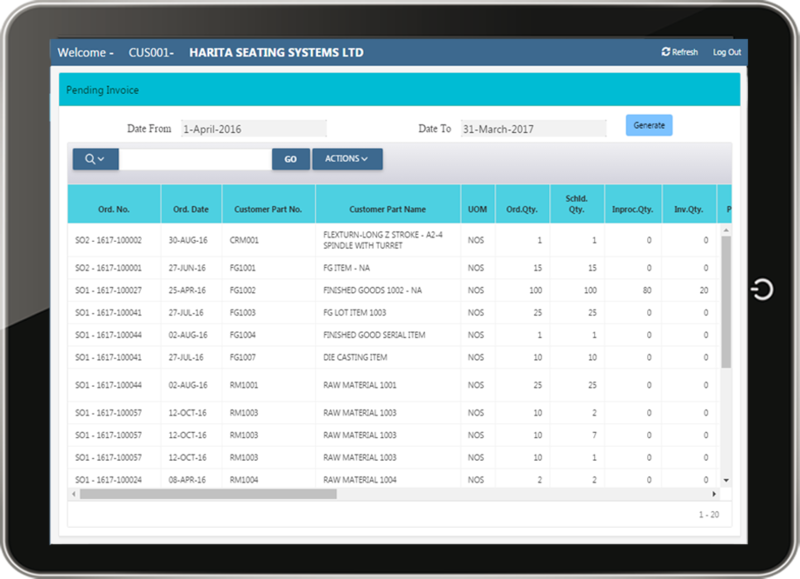 Our ERP's Customer Portal gives your clients, control over purchasing, interactive access to the status of orders, tracking and return facilities without the trouble of having to get hold of the right person via email or phone, thus, actuating immense customer satisfaction. Your customers could access their business with you using our Customer Portal from anywhere in the world through their internet enabled Smartphone, Tab, Notebook PC, etc; and sort out issues regarding delays, returns, technical support, etc. The Customer Portal links the customer to the Production process by furnishing selective access to the workflow and integrates the customer into the business process at approved levels; so that the customer can raise appropriate purchase orders, review pending requests, etc; and resolve issues even from their end.